WEI is an Old Saybrook, CT based engineering company specializing in providing large-scale software solutions to government & business customers throughout the US. From automation systems to State Digital Drivers License Systems, WEI has extensive experience and excellent references. Please contact us for more information on how WEI can help your enterprise save money and manage your systems more effectively. More information about WEI is available here. WEI has been providing state driver licensing solutions for over 12 years. States like Arizona and Alaska have taken their systems in-house and have enjoyed increased control, security and savings over the third party systems they left behind. More information and case studies are available here. WEI has been providing turnkey photo ID systems to local law enforcement and civic agencies for over 5 years. WEI provides a proven, reliable and feature-rich system using proven components and proprietary, secure software solution and database. More information and case studies are available here. WEI has been providing systems integration services and automation solutions to industry for over 15 years. WEI posseses expertise in a wide range of technologies and industries. WEI provides robust and reliable solutions for mission-critical processes. More information and case studies are available here. 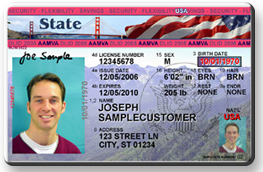 WEI successfully deploys American Samoa Digital Driver Licensing System. Additionally, WEI has successfully deloyed the American Samoa Motor Vehicle Title & Registration System.